Jacqui Grant and Amarah Coleman had a lot to be thankful for the day before Thanksgiving. 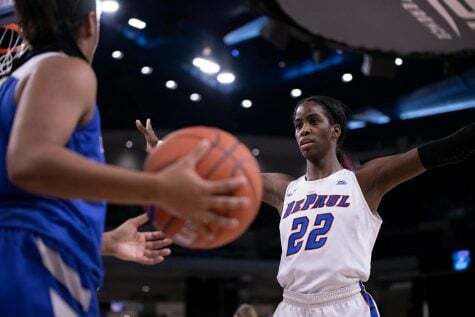 On Wednesday, the pair of DePaul women’s basketball transfers received word they would be able to play this season. The NCAA ruled that Coleman and Grant could play immediately instead of having to sit out a year due to the circumstances that led to them transferring. Both players were part of a seven-player complaint that said they faced verbal and emotional abuse at Illinois under head coach Matt Bollant and former assistant coach Mike Divilbiss. The players have also filed a lawsuit against Bollant, Divilbiss, Illinois Athletic Director Mike Thomas and the University of Illinois’ Board of Trustees, seeking $10 million in damages. 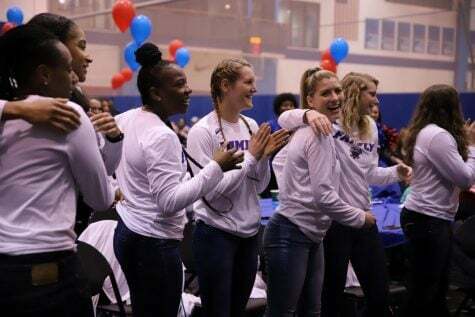 But when they finally got back on the court, they made an immediate impact in a blowout 96-46 win Friday over Colgate (0-4), leading the No. 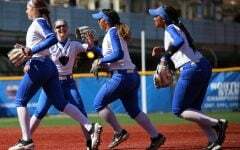 20 Blue Demons to 5-1. Usually when a student athlete transfers, NCAA rules require them to sit out one season but not lose a year of eligibility, essentially becoming a red-shirt player. 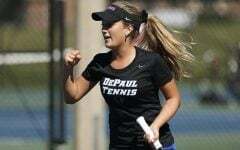 With Coleman and Grant’s unique circumstances, however, DePaul decided to file an appeal on their behalf, asking the NCAA to waive the lost year. 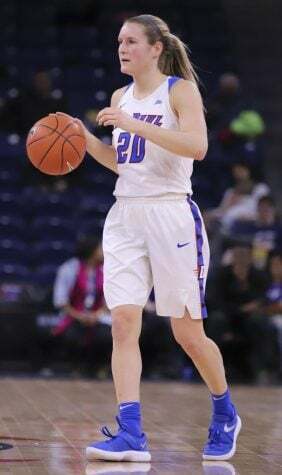 DePaul head coach Doug Bruno said Grant and Coleman learned their fates during practice Wednesday when DePaul Athletic Director Jean Lenti Ponsetto interrupted practice to deliver the news. Bruno signaled for a thumbs up or a thumbs down and Lenti Ponsetto responded with a thumbs up. Grant and Coleman wasted no time fitting into Bruno’s system either. When they checked in at the 6:11 mark in the first quarter, Coleman jacked up a 3-pointer only to have Grant get the rebound and the easy put-back basket. 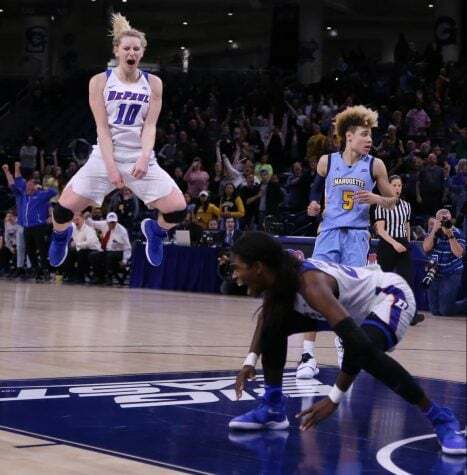 On the very next play, Coleman got her own opportunity to score, this time making a three from beyond the arc to give DePaul a 14-4 lead. 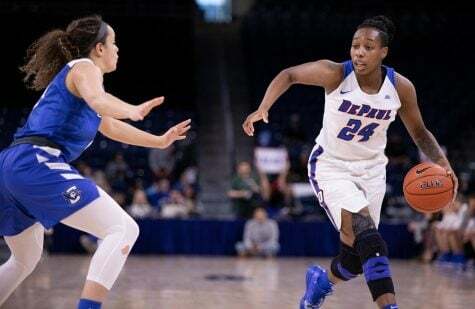 Both players played with a sense of urgency, helping the Blue Demons balloon its lead into a 20-point margin in the first quarter. It was clear the two were also comfortable playing with each other, often in the game at the same time. Grant was a game-high +59 when it came to plus/minus, which means that DePaul was 59 points better with Grant on the floor. “They both bring depth to what we do,” Bruno said. “We have another talented inside player with Jacqui and another talented, quick guard with Amarah. We recruited both of these players out of high school. We looked at them very long and hard. Just because we offered them at different stages of their careers, they don’t even realize how long and much we’ve watched. 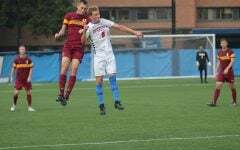 In the second half, the Blue Demons continued to roll. 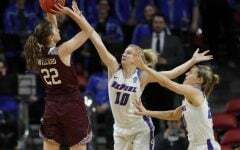 The Blue Demons’ defense harassed again, forcing 25 Colgate turnovers by pressing and continuously trapping. DePaul held the Raiders to just 33 percent shooting. 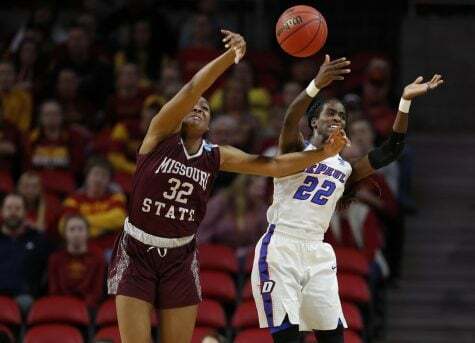 Five Blue Demons finished in double figures and Coleman led the team in scoring with 17 points. Grant added 14 while guards Jessica January and Ashton Millender had 14 points and 13 respectively. They routinely got inside attacking the basket and driving to the lane. Coleman said she enjoyed the fast pace, but it was also a challenge. 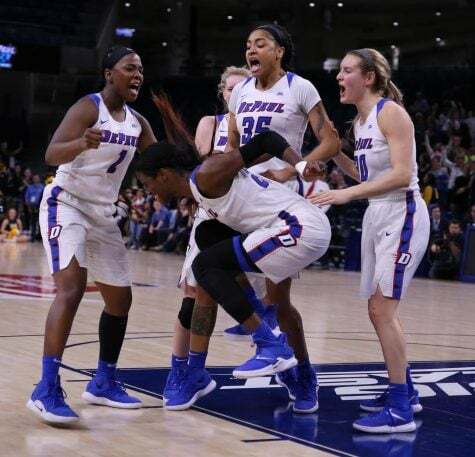 The 50-point win, DePaul’s highest of the season, was the type of tune-up performance the Blue Demons needed to stay sharp for what lies ahead. 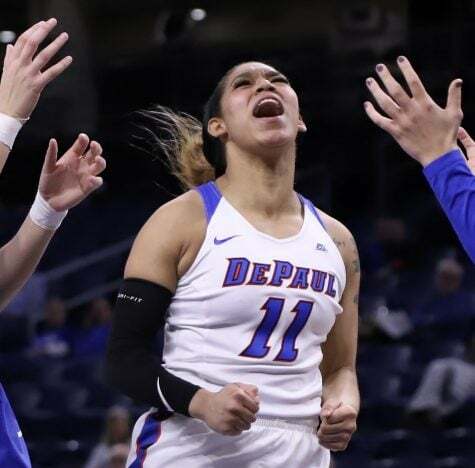 DePaul will face its toughest test of the season next game when it takes on No. 1 UConn Wednesday at 7 p.m. at McGrath-Phillips Arena. 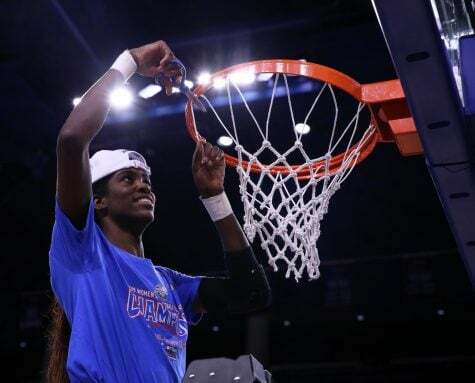 UConn has won the national title three years in a row, and Bruno has never beaten UConn head coach Geno Auriemma. 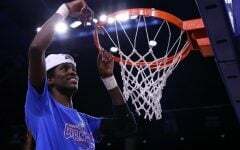 The Huskies are the second ranked team that DePaul will have faced, previously losing to No. 4 Baylor on Nov. 22. But UConn is also the start of a “monster” schedule. In the next 22 days, DePaul will face UConn, Illinois State, No. 2 Notre Dame, No. 12 Texas A&M, South Dakota State and No. 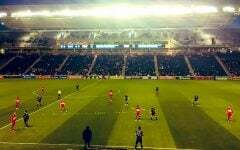 18 Northwestern. 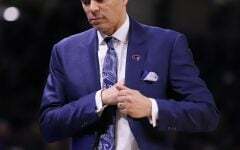 “This week has all been about using two very good home games in Chicago State and Colgate to prepare for this 22 day stretch that’s really a monster stretch,” Bruno said. “We really, really have to stay together and do the controllable,” Bruno said.